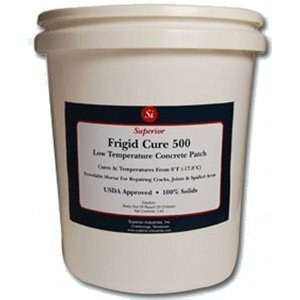 Low Temperature Concrete Patch & Repair | USDA Approved | Superior Industries, Inc.
Includes All Liquids & Aggregate | Covers 42 Sq Ft At 1/4"
FrigidCure 500 is a top rate concrete repair kit that cures at extremely low temperatures. Created especially for curing at substrate temperatures down to 0°F (-17.8°C), FrigidCure 500 is a top of the line freezer epoxy patch kit. 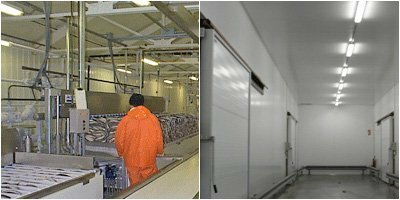 FrigidCure 500 is a non-shrink material, ensuring patching that will last, and is highly resistant to chemicals and abrasion. This concrete patch for freezers is VOC compliant (volatile organic compound compliant), meeting local, state, and federal regulations for this type of product. 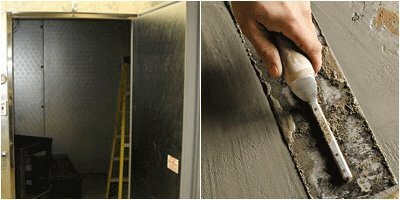 FrigidCure 500 is useful for making strong repairs on almost any concrete substrate. This concrete patch for freezers offers a high compression strength (which has to do with how much pressure a substance can withstand before it reaches its limit and is crushed). FrigidCure 500’s high compression strength allows it to withstand a significant amount of pressure, remaining stronger for longer. 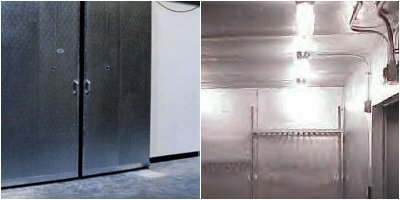 FrigidCure 500 is ideal for use in packing plants, cold storage facilities, coffee processing facilities, and any other food processing facilities that do freeze dry. Its ease of installation cannot be overestimated, making FrigidCure 500 a clear win. FrigidCure 500 is packaged in simple-to-use kits, each of which contains all the necessary concrete patching ingredients. Kits contain a 100% solids epoxy and aggregate. The mix ratio is a piece of cake since each self-contained kit of FrigidCure 500 comes pre-measured (resin, hardener, and sand). Concrete patching doesn’t get much easier than this! Improve the look of your concrete substrate, repair damage, and fill in cracks today with FrigidCure 500. FrigidCure 500 is available in 3 high-demand colors: grey, tile red, and natural. Because it offers multiple color options, this product can be used to make repairs that blend in with existing floor colors. 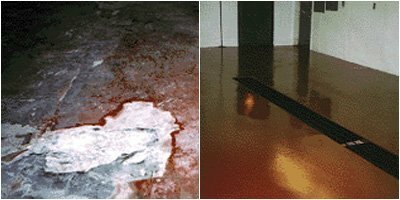 Grey and natural are common choices for concrete repair projects, and tile red is the color of choice for repair projects on meat market floors. Overall surface appearances are improved after applying one of these three colors of FrigidCure 500. FrigidCure 500 is available in kits which come packaged in 5 gallon cans, each of which includes the pre-weighed resin, catalyst, and aggregate. Each kit of FrigidCure 500 will yield approximately 42 sq. ft. at 1/4” (0.53 cubic feet). If applied only on ‘V’ cracks, each kit of FrigidCure 500 will cover approximately 160 lineal feet of cracks at 1” wide and 1” deep. The working time of this concrete patch for freezers is 20 minutes at 20°F (-6.7°C). Its approximate cure time is 18-24 hours at 20°F (-6.7°C).